Admiral Dennis Blair is Chairman of the Board and Distinguished Senior Fellow (Non-Resident) of Sasakawa Peace Foundation USA. He joined the foundation in 2014 and, as Chief Executive Officer from then until February 2017, led the team through a refocusing of its mission and a greatly expanded staff. Blair has long experience in Japan and Asia issues and also serves as a member of the Energy Security Leadership Council, and is on the boards of Freedom House, the National Bureau of Asian Research, the National Committee on U.S.-China Relations and the Atlantic Council. As Director of National Intelligence, from January 2009 to May 2010, Blair led sixteen national intelligence agencies, managed a budget of $50 billion and provided integrated intelligence support to the President, Congress, and operations in the field. Blair was president and chief executive officer of the Institute for Defense Analyses (IDA), a federally funded research and development center, that supports the Department of Defense, the Department of Homeland Security, and the Intelligence Community, from 2003 to 2006. During his 34-year Navy career, Blair served on guided missile destroyers in both the Atlantic and Pacific fleets and commanded the Kitty Hawk Battle Group. Ashore, he served as Director of the Joint Staff and held budget and policy positions on the National Security Council and several major Navy staffs. Prior to retiring from the Navy in 2002, Blair served as Commander in Chief of the U.S. Pacific Command, the largest of the combatant commands. 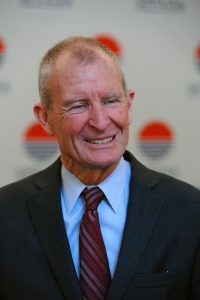 Blair has served as a director of both public and private corporations, including Tyco International, EDO Corporation (now part of L-3, Inc.), and Iridium LLC (now a public corporation). He resigned from all board positions when he re-entered government in 2009. He currently chairs an advisory committee for Lockheed Martin Space Systems. Blair co-chaired the Commission on the Theft of American Intellectual Property and published a series of recommendations in May 2013. He is the author of Military Engagement: Influencing Armed Forces Worldwide to Support Democratic Transitions, published in June 2013. A graduate of the U.S. Naval Academy, Blair earned a master’s degree in history and languages from Oxford University as a Rhodes scholar, and was a White House fellow at the Department of Housing and Urban Development. He has been awarded four Defense Distinguished Service medals, three National Intelligence Distinguished Service medals, and has received decorations from the governments of Japan, Thailand, Korea, Australia, the Philippines, and Taiwan. 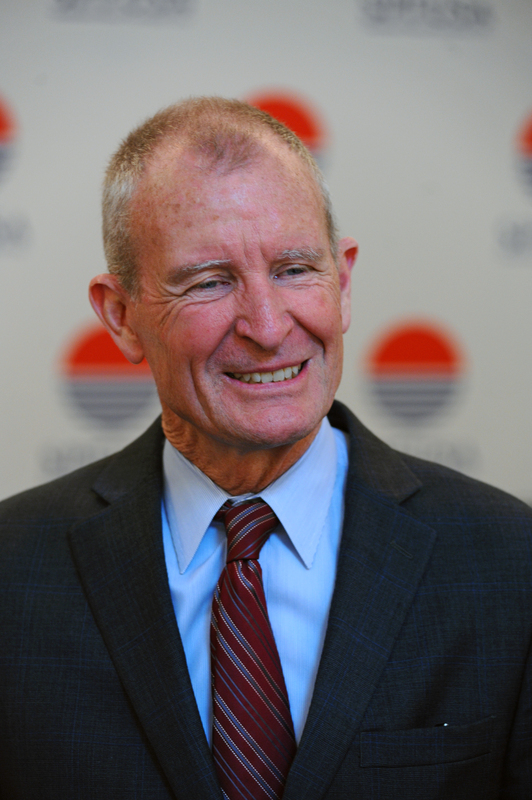 Click here to read the Chairman’s Message, Admiral Dennis Blair’s commentary series on all things U.S.-Japan relations. Sasakawa USA is pleased to bring together an outstanding group of senior scholars, all with extensive knowledge and experience, to analyze and explain the many facets of Tokyo’s energy situation and its intersection with the U.S.-Japan relationship. Japan’s Energy Conundrum provides insights into how Japan is seeking to resolve its current energy conundrum in the aftermath of the Great Eastern Japan Earthquake and Tsunami. Admiral Dennis Blair co-authored this opinion piece with General Keith Alexander, a former commander of the United States Cyber Command and a former director of the National Security Agency, on the importance of challenging China’s theft of U.S. intellectual property. The WannaCry ransomware attacks remind us that malicious malware crosses borders without pause and has the potential to cause serious harm to friend and foe alike. The U.S and Japan need to take steps beyond information exchange and develop a list of actionable items for collaborating on reducing vulnerabilities and responding to incidents. November 3 marks the 70th anniversary of the promulgation of Japan’s constitution, a remarkable document forged in the aftermath of World War II that has guided the country’s democratic development, allowing Japan to overcome the bitterness of the war years, regain its position in the international community, and set the country on a path to economic prosperity. A new report from the GW Center for Cyber and Homeland Security offers the most comprehensive assessment to date of the legal, policy and technological contexts that surround private sector cybersecurity and active defense measures to improve U.S. responses to evolving threats. The report draws on knowledge from a task force co-chaired by Sasakawa USA Chairman and CEO Adm. Dennis Blair and other experts in the public and private sectors who are thought leaders in technology, security, privacy, law and business.